The rise of Omar Sy continues as he continues to rack up role after role. Hours after we confirmed that the talented actor was a part of Mood Indigo, comes word that Director Bryan Singer has added him to the upcoming X-Men film, Days of Future Past. 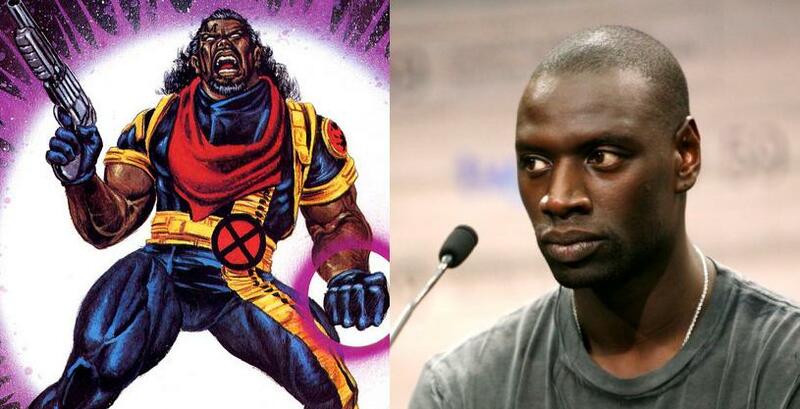 Sy’s will play Bishop and in the upcoming X-Men film. Bishop’s mutant power is to absorb energy blasts and repel it back at his enemies. He joined the present day X-Men after traveling back in time from a future where mutants have all but been obliterated by the robotic Sentinels. Bishop wasn’t present in the comic book version of Days of Future Past, but the ’90s X-Men cartoon has proven that he makes a natural fit for the time travel story. Time travel is the name of the game in Days of Future Past, which in the comics saw Kitty Pryde going back in time to prevent a future where the X-Men are mostly dead and the rest of mutantkind has been put in interment camps. Singer’s cast is bursting at the seams with awesome mutants including Wolverine, young and old Magneto and Xavier, Iceman, Storm, Kitty Pryde, Colossus, Blink, Rogue, Beast, and Mystique, not to mention Peter Dinklage in an unknown villain role, it’s hard not to hear the news of these additions and get a little x-cited.